Greece – there’s magic behind this name! As cradle of Western civilization we look at millenniums full of history, legends and personalities that shaped today’s way of thinking. Democracy, the Olympics, the first theatres, philosophical reasoning and geometry are only a few of the things that originated in Greece. From the geographical point of view we see a multifaceted country with countless beautiful islands, crystal clear water, rugged mountains and canyons and a never ending coastline. And as motorcyclists we see roads made for riding, sceneries made to enjoy, friendly people, great food and countless places worth to stop and contemplate. We start in Athens and head northeast to famous Delphi, dedicating the afternoon to a visit of this legendary place. After Delphi our next destination is the Pelion Peninsula, where we spend a rest day enjoying the twisty roads and rugged mountain scenery. Passing by famous Mt. 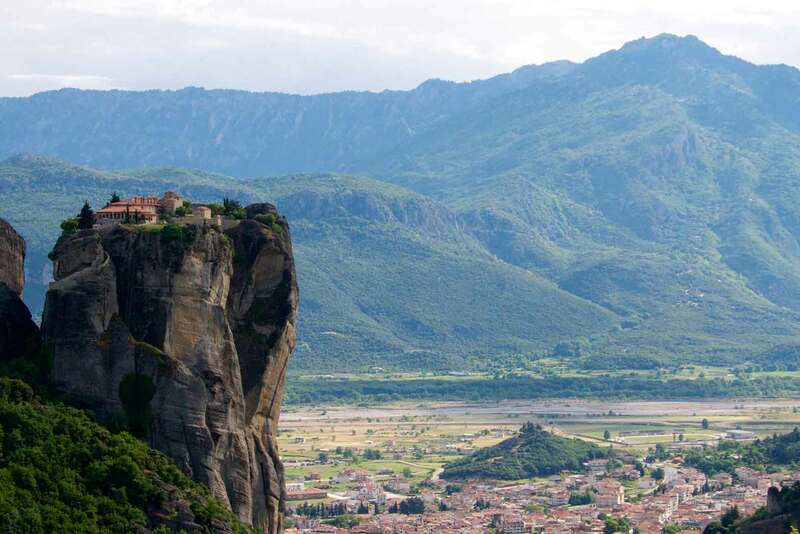 Olympus we continue to Kalampaka, where we visit the World Heritage Site of the Meteora Monasteries. 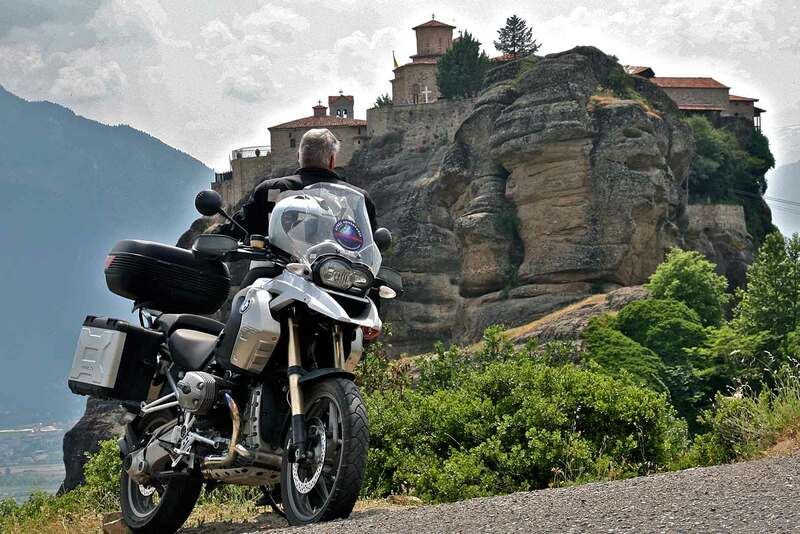 From this northernmost point of our trip we turn south again and ride to Nafpaktos on twisty backcountry roads and through regions of outstanding natural beauty. The Peloponnesian Peninsula on the next day is so close to the mainland that we can reach it by riding across a bridge. A visit of ancient Olympia is today’s highlight; after that we head down the west coast to the region of Messinia. 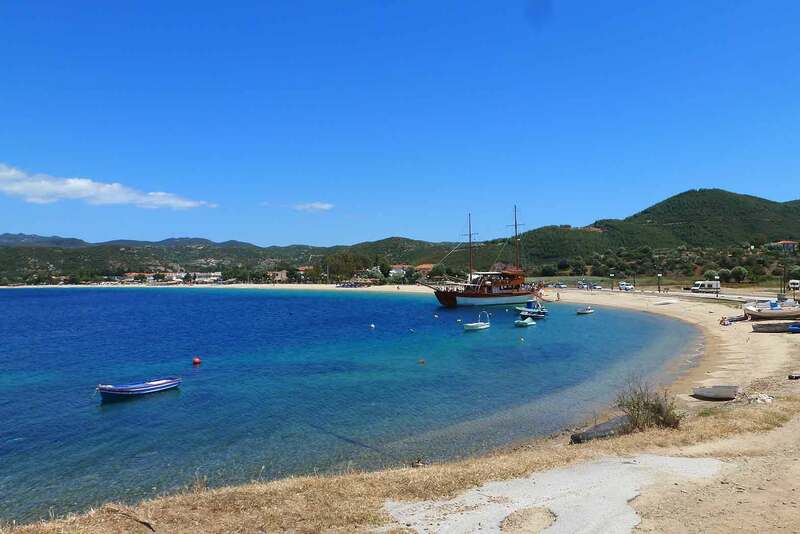 On the way to our next day’s destination Monemvasia we cover the southern part of the Peloponnese, including an optional loop around the scenic Mani Peninsula. 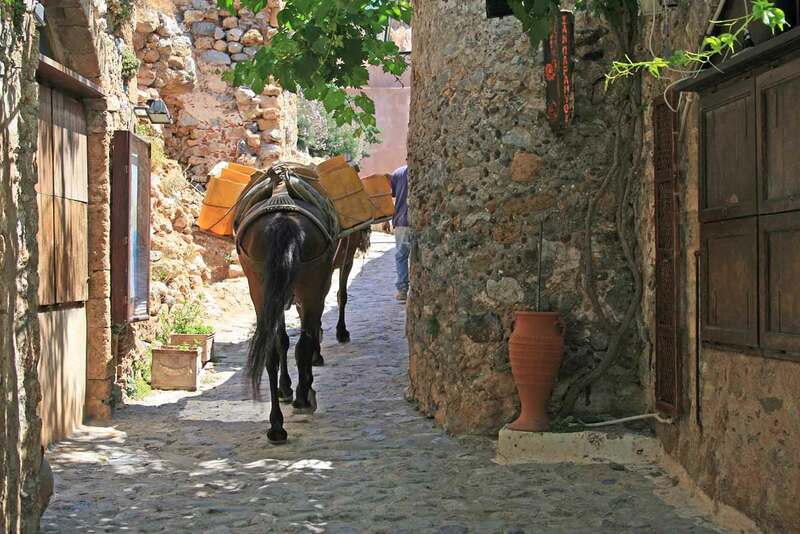 On our free day in Monemvasia we can choose between riding, or just enjoying the relaxed atmosphere in this beautiful little town with its medieval fortress. Nafplion, one of the most elegant and beautiful cities of all Greece is only a half day’s ride away – we dedicate the afternoon to strolling around in the city and the evening to enjoying some of the best food in Greece! Our last riding day takes us past Athens: Sounio, 24 miles south of the capital, is the location of the oldest theatre in the world and the ancient temple of Poseidon. 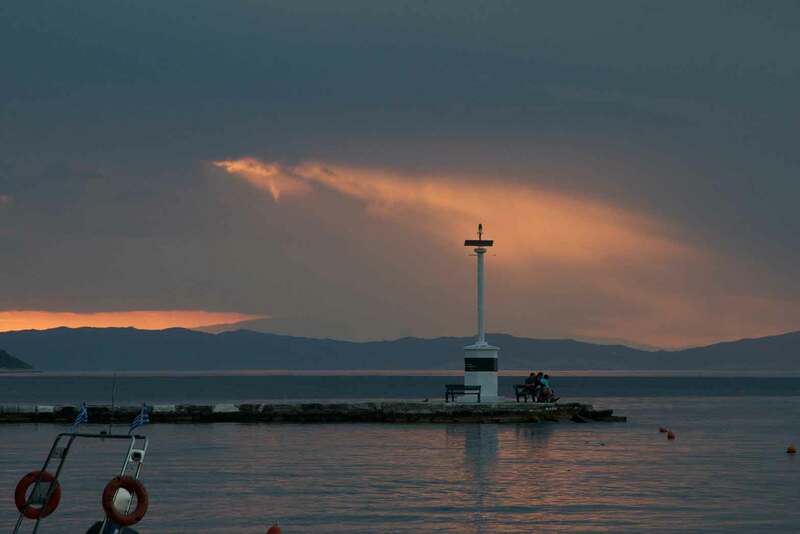 From our hotel we can watch the spectacular sunset over the Aegean Sea and look back to a wonderful trip! Welcome to Greece! After your arrival at the Eleftherios Venizelos Airport, we will shuttle you to our base hotel in town. Relax and enjoy some of the most famous sights of the “Old World”! 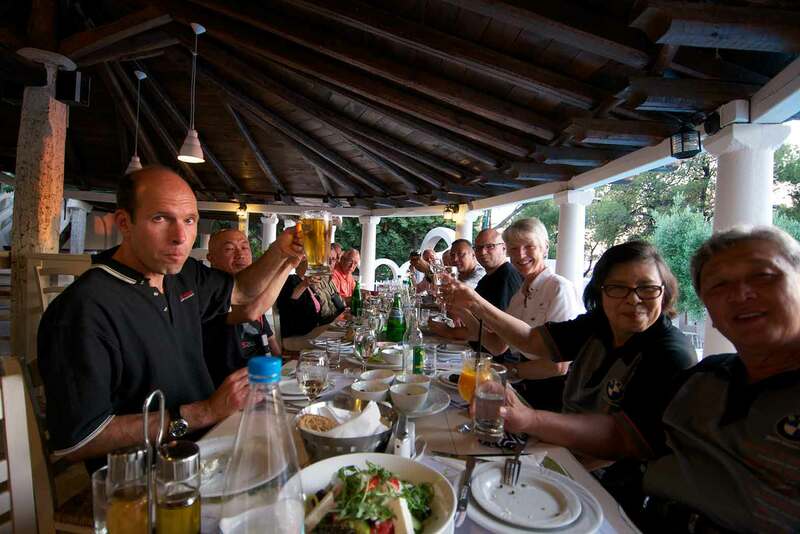 We will meet in the late afternoon for the motorcycle handover and welcome briefing; in the evening we’ll have our kick-off dinner – Greek style of course! On our first riding day we use the motorway to head out of Athens. The distance to Delphi is short enough to have lunch at our destination – you can dedicate the afternoon to a visit of the archeological site and museum. Determined by Zeus as the “navel of Gaia (Grandmother Earth)”, already more than 2,5 millenniums ago ancient Delphi was the site of the famous oracle and also of precursors of modern Olympic games. The Temple of Apollo, the Sibyl Rock, the ancient theatre, the hippodrome and the athletic statues are only a few of the ancient buildings and structures that can be visited. Passing by the city of Lamia, we head north towards 1726m high Mt. Othris, which was said to be the base of Kronos and the Titans during the ten-year war with the Olympian Gods known as the Titanomachy. 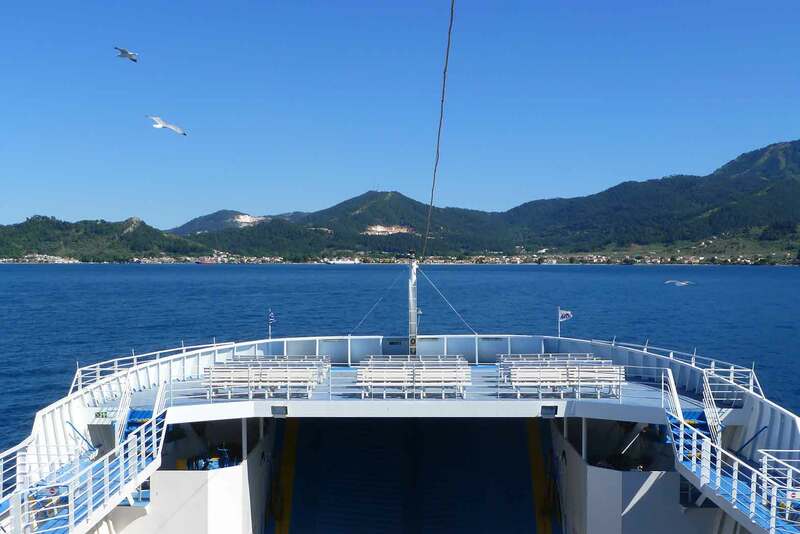 It’s on our way to the Pelion, a hook-like formed peninsula dominated by a thickly forested mountain. 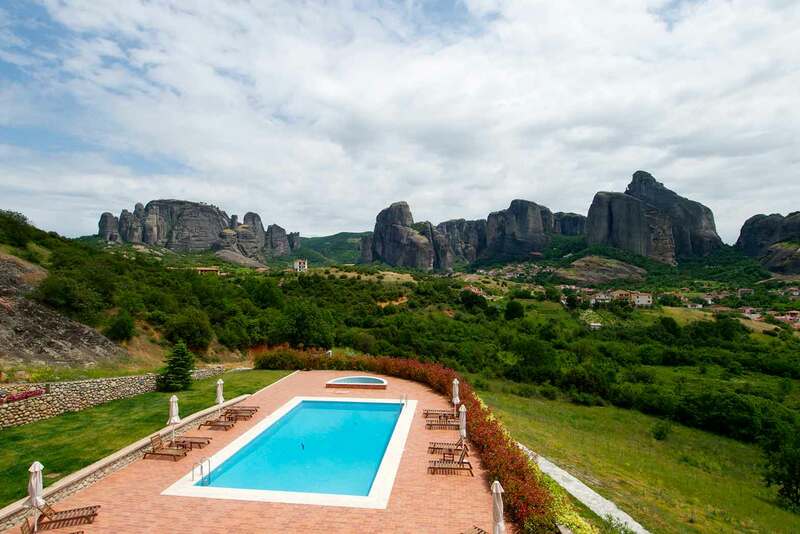 There’s fabulous scenery and riding here – reason enough to spend two nights in this area! 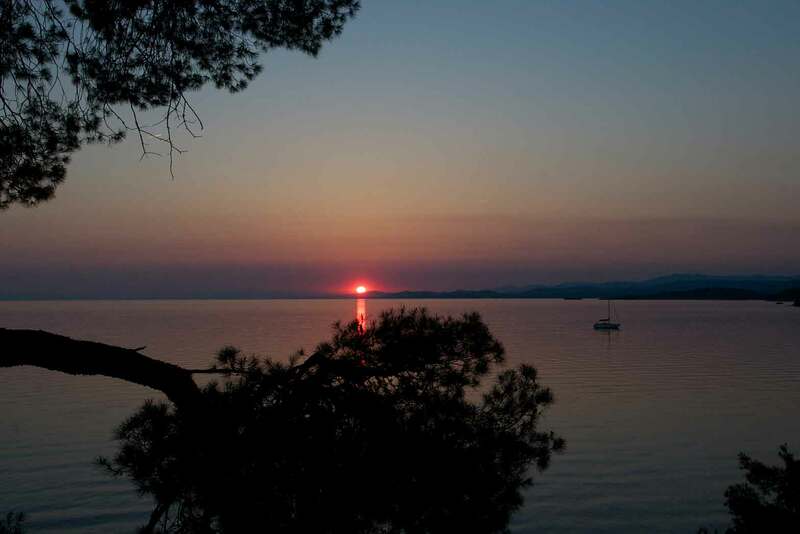 In ancient mythology Pelion was the homeland of Chiron the Centaur, tutor of many ancient Greek heroes, such as Jason, Achilles, Theseus and Heracles. Today Pelion is considered one of the most beautiful mountains in Greece with an abundance of springs, gorges, streams and rivulets. Many streams are routed in carved-stone artificial beds to bring water to the villages and their thriving orchards. 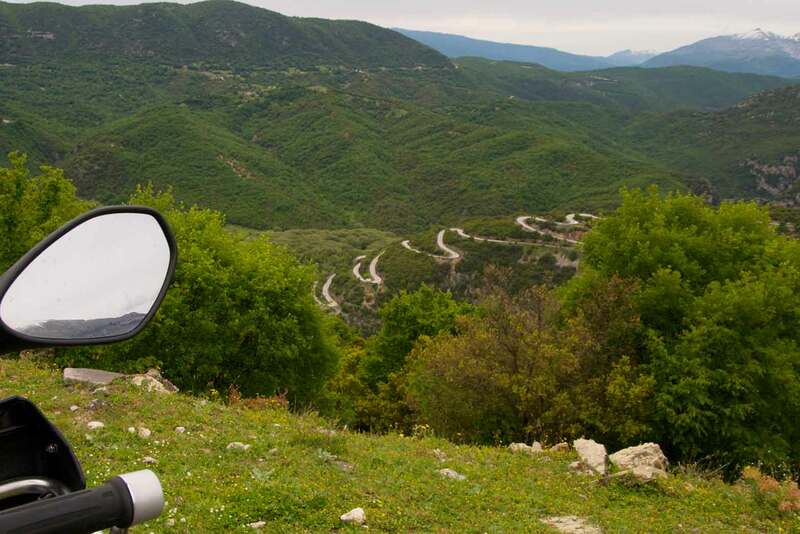 Being as a popular tourist attraction throughout the year, Pelion is also a paradise for motorcycles with its narrow and twisty mountain roads! 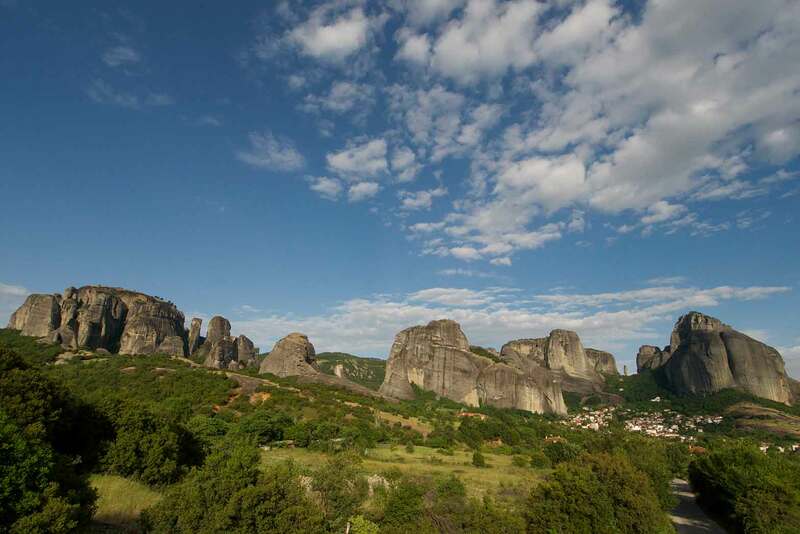 An early start makes sure that we arrive in Kalampaka early enough to see and visit the world famous Meteora Monasteries. The route takes us first to the north, where we might catch a glimpse of Mt. Olympos, the seat of the ancient gods. 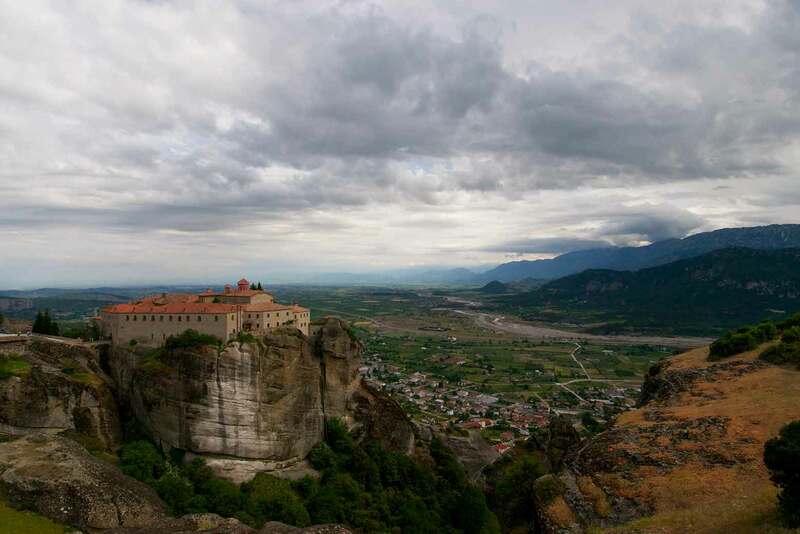 On a wonderful road we continue west through Greek backcountry until the bizarre rock formations with the monasteries “suspended in the air” appear in front of us. 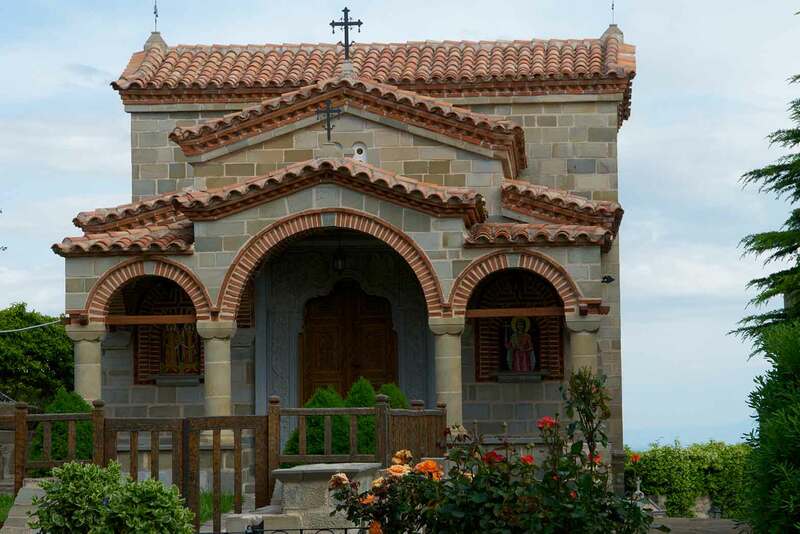 It is one of the largest and most important complexes of Greek Orthodox monasteries in Greece, second only to Mount Athos. 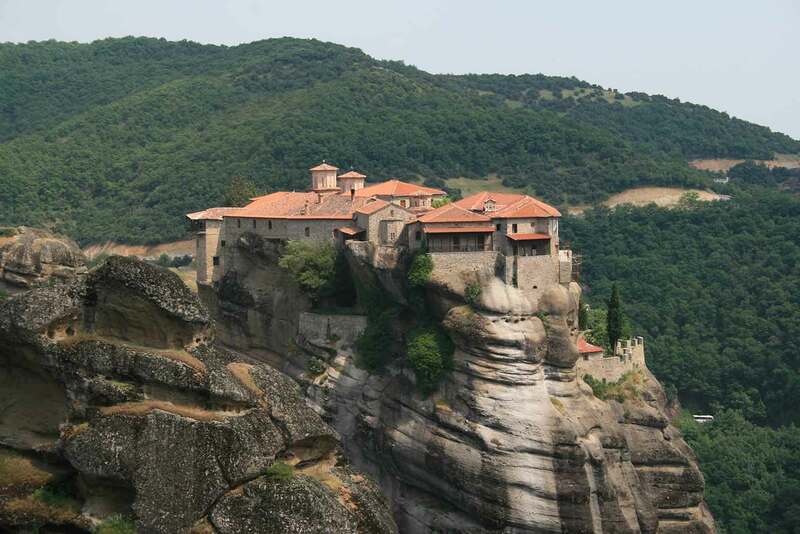 The six monasteries are built on natural sandstone rock pillars and take turns with their opening times for tourism. A sunset at this place is an unforgettable moment! An early start is recommendable for today’s ride! 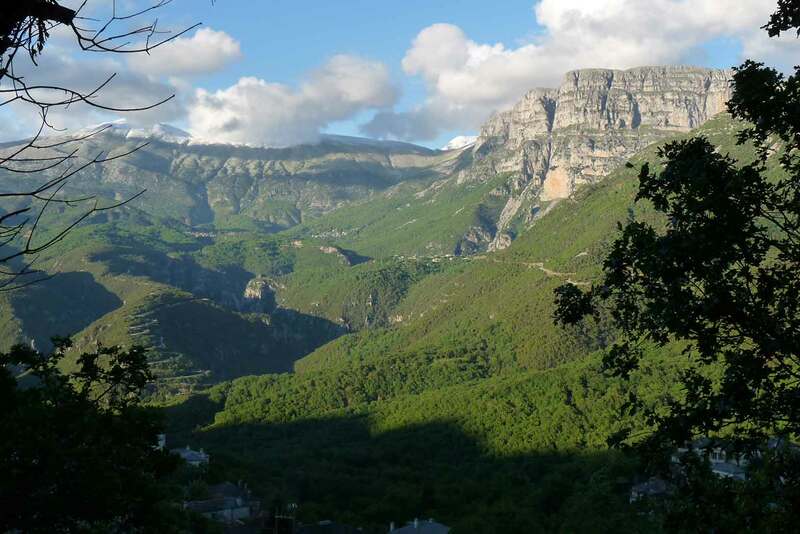 First we cross the Kozikas mountain range, before we ride along the National Park of Tzoumerka-Peristeri & Arachthos Gorge! 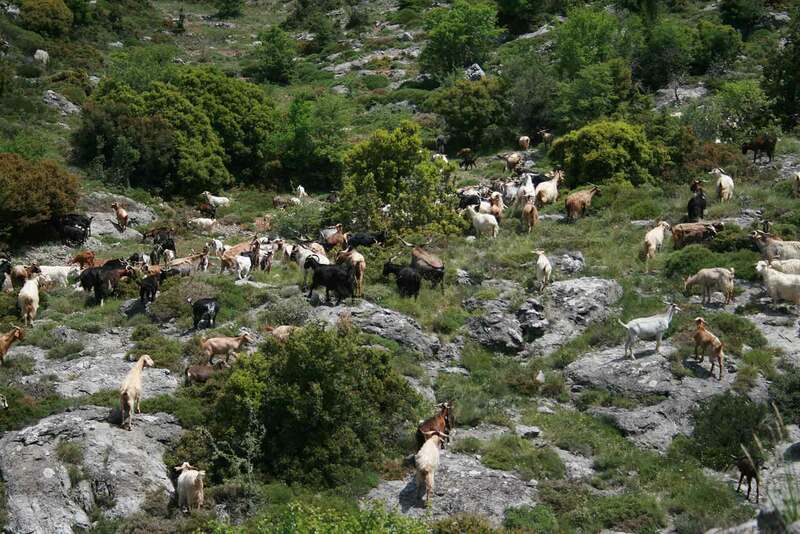 The twisty and narrow mountain roads of the Pindos Mountain Range lead us through unique landscapes of singular beauty and environmental significance – a place that represents rural Greece at its most resplendent, with its countless waterfalls, its caves, gorges and canyons. 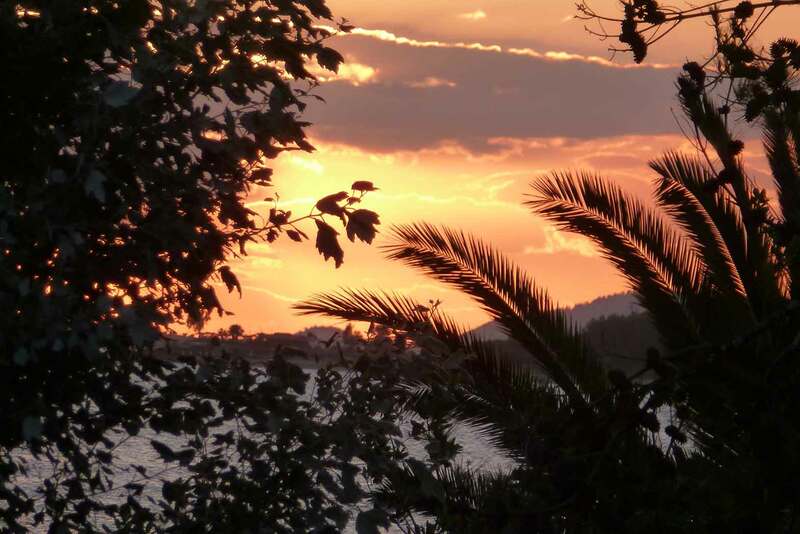 In Nafpaktos we are back at sea level – tomorrow we explore the Peloponnesian Peninsula! Put on your running shoes today – we will visit Olympia, the location of the ancient Olympic Games today! 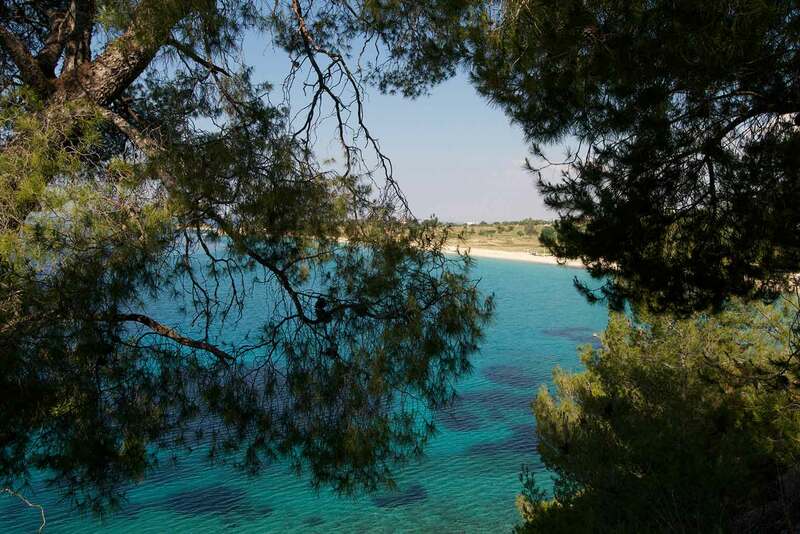 There are several possibilities to “take the scenic route” through northern Peloponnesia, depending on how much time we want to spend there and also on the distance to the hotel tonight. However, Olympia is one of the “must-sees” on our trip: like today the Olympic Games were held every four years throughout Classical Antiquity, from the 8th century BC to the 4th century AD. The first Olympic Games in honor of Zeus were held in 776 BC. What we see today consists of an unordered arrangement of various buildings and temples. Olympia was also known for the gigantic ivory and gold statue of Zeus that used to stand there, which was named one of the Seven Wonders of the Ancient World. The southern part of Peloponnesia is our playground today and with the section between Kalamata and Sparta we have one of the best motorcycle roads to look forward to! While Sparta as bitter enemy and rival of Athens was unique in ancient Greece for its social system and constitution, which completely focused on military training and excellence, the city today has little to offer. After a short stop we continue south to Monemvasia, a well-known medieval fortress with an adjacent town, where we will spend two nights. The peninsula of Peloponnesia has four “fingers” stretching out to the south; Monemvasia is on the east coast of the “point finger”. 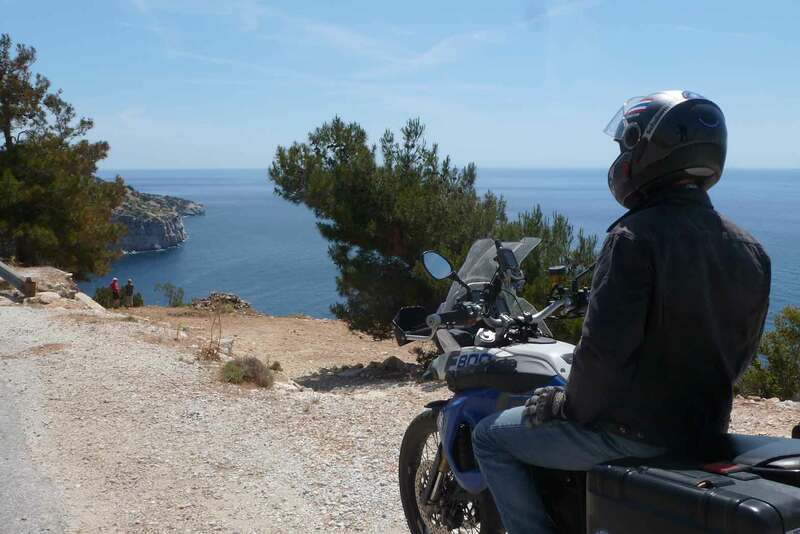 All of these peninsulas offer great riding and Mani, which lies in the west, is the best option for that – that’s where a good half day’s loop would lead us! For those of us, who want to take a rest, the village of Monemvasia with its narrow and traffic-free alleyways is the perfect location for a relaxed time in typical Greek atmosphere! A good half day’s ride north along the coast brings us to Nafplion, one of the most elegant and beautiful cities in all of Greece, with accurately restored Venetian mansions, baroque and neo-classical churches and squares. We have time in the afternoon to explore this jewel. Even people from Athens come here, which are looking for high quality cuisine – so we can expect some culinary highlight for dinner, too! 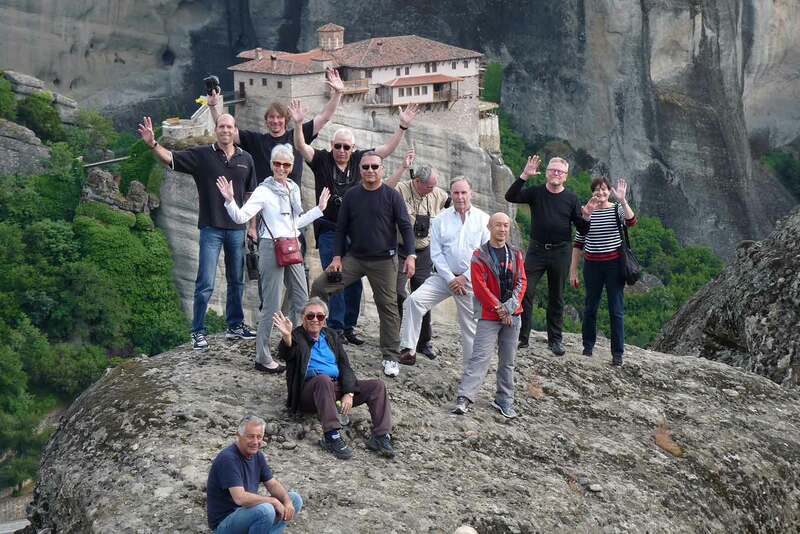 We hope that you enjoyed the tour through Greece and you will join us again soon! After breakfast we will shuttle you to the airport – have a nice flight home! Personal motorcycle: deduct $1,000 from the rider price.